Two remarkable homes in the East Neuk of Fife dating from the 16th and 17th Century have been placed onto the market through CKD Galbraith. 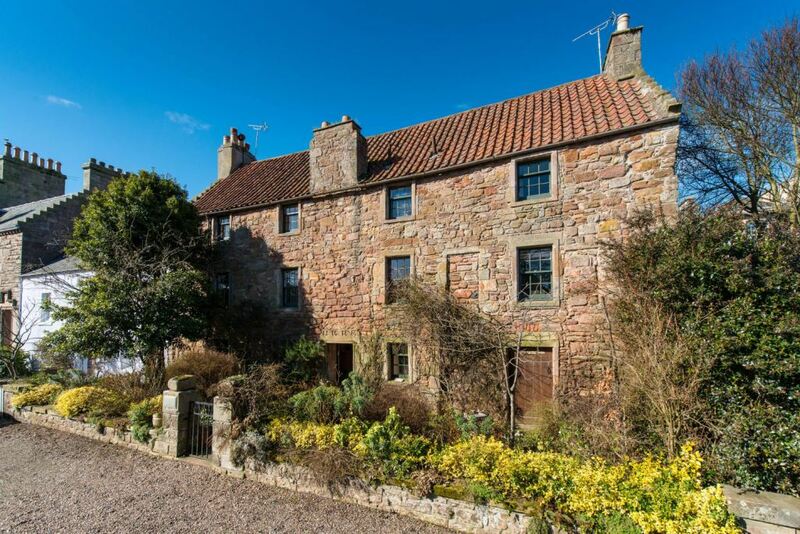 The Old House, a magical and characterful home, is an A listed property that is believed to be the oldest surviving house in Crail, dating from around 1540. 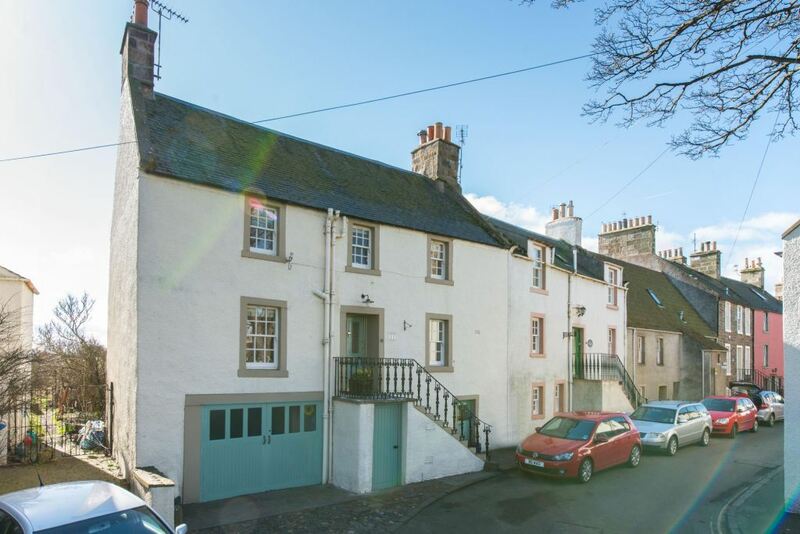 In Anstruther, 11 High Street West - said to be the third oldest house in Anster Wester is a delightful and picturesque Category B listed home understood to date from the late 1600s. Both of these properties combine notable histories with an exceptional standard of modern family living. The Old House is understood to have been originally connected to the former monastery in Crail, having perhaps been used as dormitories for monks who were responsible for maintaining the gardens and crops, producing honey and mead. Research suggests that the property originally comprised two family homes in the 1560s, with records indicating that the house had been joined to create one home in 1686, as evidenced by a marriage lintel on the property. Now, The Old House can be seen as a unique property that stretches across three levels. The stunning stone exterior of The Old House gives the earliest indication of the charm of the property. The allure of The Old House is almost tangible upon entering the property, with the ground floor home to a wonderful music room, snug and office, along with cloakroom and hallway. There is also a separate cellar area, providing storage and laundry areas, as well as the back door that leads to the exquisite rear garden. A wonderful winding stone staircase then leads to the first floor accommodation that comprises a well proportioned sitting room, dining room and an excellent breakfasting kitchen, as well as a charming garden room extension which was added to the house in comparatively recent times. The winding staircase also leads on to the second floor accommodation, where there are three comfortable bedrooms, one of which is en suite, and a lovely family bathroom. There is an extensive attic area accessed via wooden Ramsey ladder that offers generous storage space. The Old House also offers some potential scope for a business opportunity with a small gift shop having been operated from the ground floor of the property in previous years. Subject to consents and permissions, there may be scope for purchasers to reinstate a similar business. Outside, the glorious main garden area at the rear of the house comprises a stunning old fashioned walled cottage garden with a charming network of pathways meandering through a network of borders and beds well stocked with a lovely mix of plants, trees and shrubs. There is also a timber summer house along with a number of carefully positioned seating areas. The garden has been opened to the public for the last 14 years under Scotland's Garden Scheme. 11 High Street West, meanwhile, is an outstanding coastal property that has been significantly improved and refurbished in recent times. The accommodation is arranged over four levels with the main entrance lying up a flight of steps at first floor level. Located on this floor is the excellent breakfasting kitchen with electric Aga and fine sea views as well as the stunning dining room complete with wood burning stove. A lovely bespoke ash staircase leads down from the dining room to the ground floor accommodation which comprises a stunning sitting room with glazed doors to the garden as well as a study, shower room, utility room, integral garage and vennel which leads from the front of the property to the rear garden. There are two excellent double bedrooms together with pristine family bathroom at second floor level, accessed via a quaint curved staircase that leads from the first floor hallway. A further staircase then leads on to the third floor accommodation where there is a good double bedroom with further nursery bedroom off. With numerous delightful features the house offers outstanding accommodation of a truly exacting standard. Quietly positioned at the foot of the garden, some distance away from the main house, lies an excellent detached self contained garden house, again of an attractive painted harled exterior under slated roof, with open plan sitting room/bedroom, kitchen and shower room. George Lorimer, who is handling the sale of both properties, said: "The Old House and 11 High Street West are two magnificent properties that have a simply amazing ancient feel but still manage to offer very comfortable contemporary living space of a high standard. "The care and love that the current owners have shown to the properties shines through and we expect families visiting both houses to be enchanted as they wander round for the first time. They are both homes are unique in their own right but what is equally striking about them is how well the current custodians have managed to enhance that period appeal with thoroughly modern decor and furnishings. 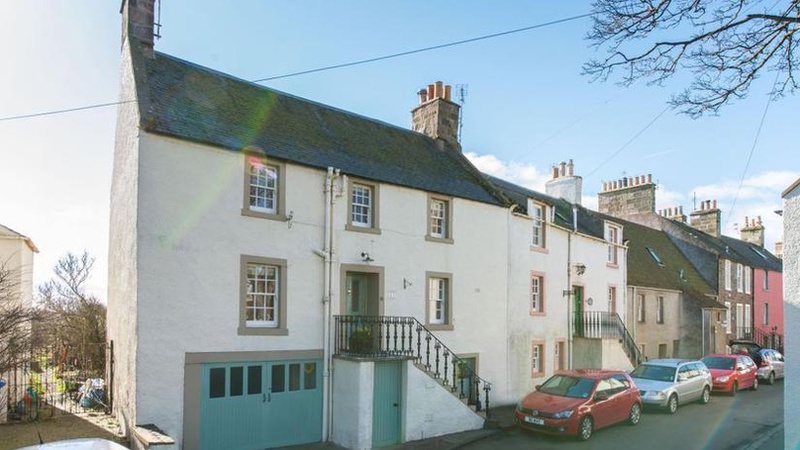 "We promote lots of properties that are packed with history but to sell two such as this in the East Neuk on the open market at the same time is very rare indeed. It is wonderful to be able to offer both The Old House and 11 High Street West and we are sure that we will find plenty of interested buyers who wish to experience and play their part in the continuing story of these breathtaking homes." The Old House is being offered at a guide price of 560,000 and 11 High Street West is being marketed at offers over 595,000.